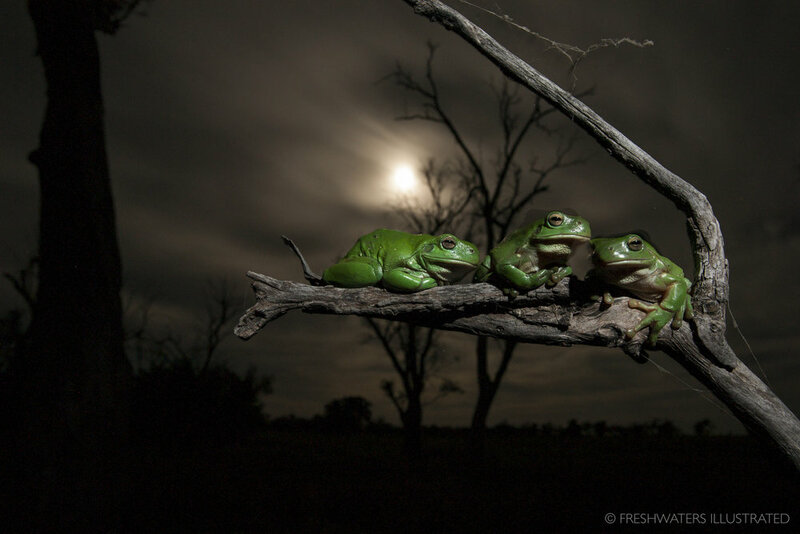 Scuffling for position amongst a giant mass of floating orbs, a group of male Oregon spotted frogs (Rana pretiosa) patiently await the arrival of egg filled females . With large congregations of females laying their eggs in the same area, giant mats of eggs can often be seen floating along the surface. These blobs of eggs will eventually develop into tadpoles and release from their gelatinous casings to explore their new wetland home. 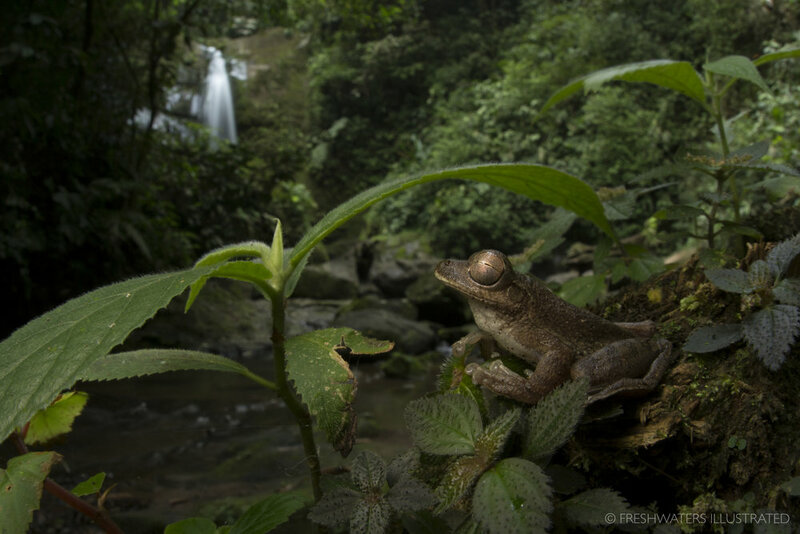 Unfortunately, frog nurseries like this one are becoming a rarer site to see along the Cascades, where habitat alteration and changes to river flows have resulted in the loss of wetland habitat. Rough skinned newts (Taricha granulosa) gather in a Coast Range pond to mate in early spring. 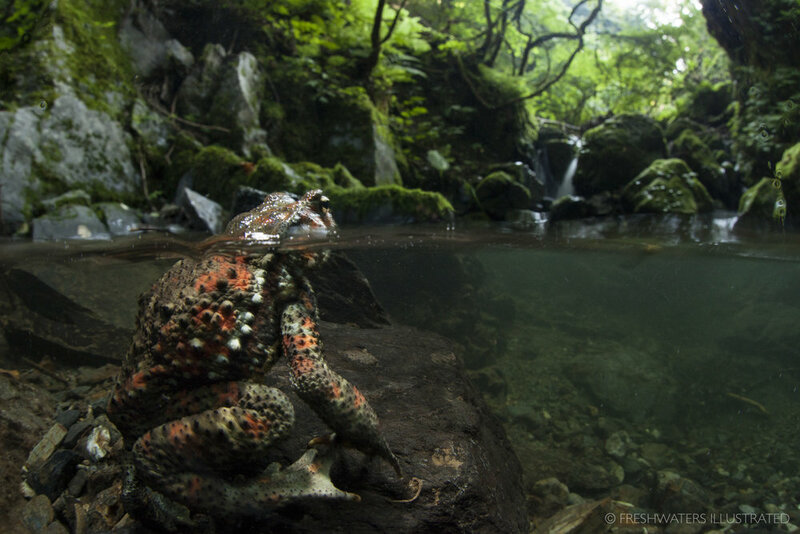 In the shadows of of Oregon's Mount Bachelor hundreds of western toads (Anaxyrus boreas) are on the move in search of potential mates. 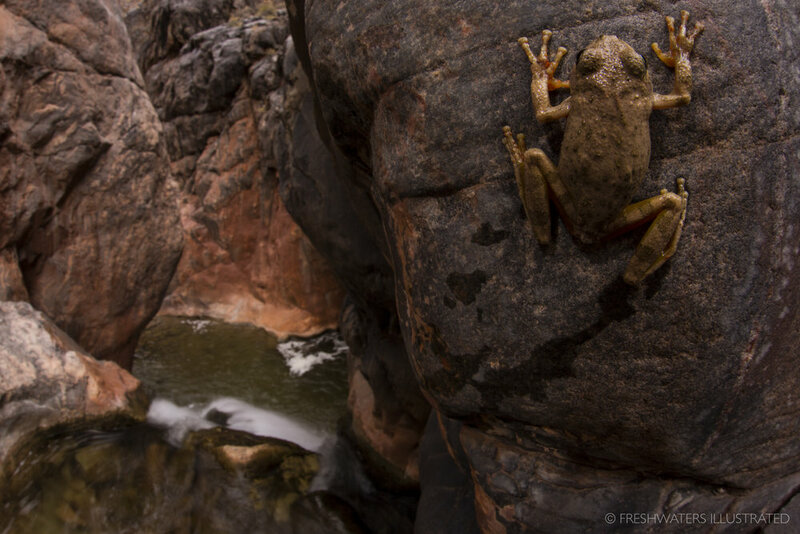 The alpinists of the amphibian world, these tough mountain toads emerge to breed right as the snowpack and ice begin melting from the landscape. Dr. Pieter Johnson from the University of Colorado and Laura Guderyahn from the City of Gresham's Natural Resource Program observe malformed red-legged frogs in an urban pond near Portland Oregon. 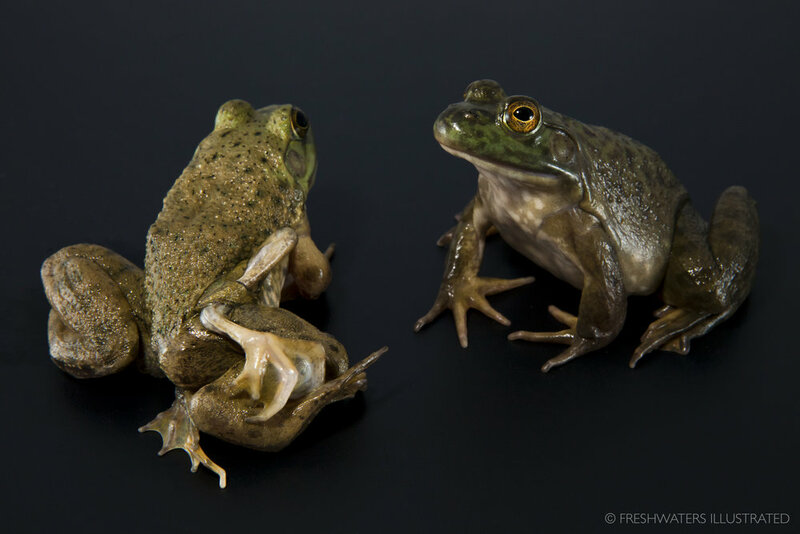 A bullfrog with limb deformities next to a healthy bullfrog. A Northern leopard frog with limb deformities caused by a parasitic flatworm. Current work by Dr. Pieter Johnson from the University of Colorado Boulder is trying to understand the factors that drive these malformations. A rough-skinned newt (Taricha granulosa) blends in with the fall foliage. 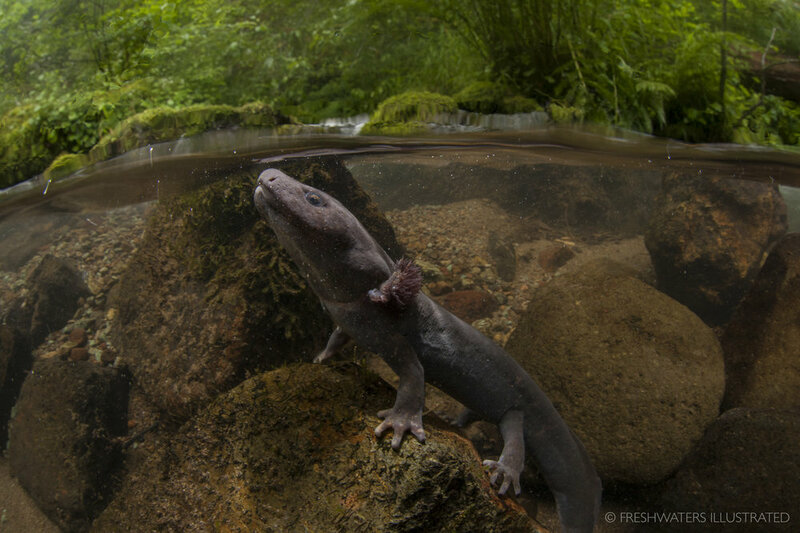 A Paedomorphic Pacific giant salamander (Dicamptodon tenebrosus) perches on a streambed stone in a Cascade stream in the Willamette National Forest. Terrestrial pacific giant salamanders (Dicamptodon tenebrosus) in an old growth forest.